The COLOR Issue Vol. 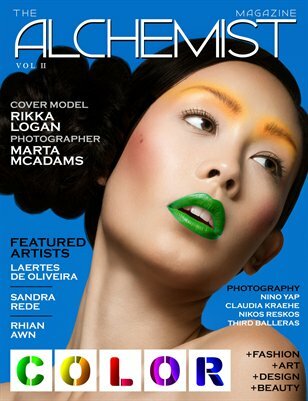 II of The Alchemist Magazine features model Rikka Logan on the cover photographed by Marta McAdams. The issue also features photography editorials by: Nino Yap, Claudia Kraehe, Nikos Reskos and Third Balleras. Featured Artists: Laertes de Oliveira, Sandra Rede and Rhian Awn.